A Very Hoppy Holiday With Schooner Exact! 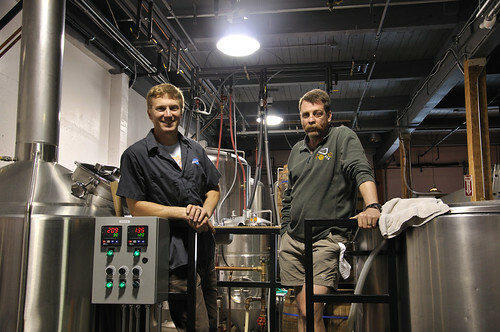 Next week, on Wed Dec 22nd, our longtime pals from Schooner Exact Brewing will drop by for another hoppy holiday visit! This time we will feature a grip of their amazing award winning creations: Hoppy Holidays, Hoppy the Woodsman (bourbon barrel aged brother to Hoppy Holidays), Midnight Union Black Raspberry Wheat Holiday Ale, Profanity Hill Porter, 3-Grid IPA, and a bar-top pin cask of Hoppy Holidays! To get everyone prepped for the holidays, fill your 1/2G growler with delicious Schooner Exact Beer for $10 (not including Woodsman and cask). Prizes and good times SHALL ensue starting at 6pm!